Jason Tapia an architect doing business in New York and Miami contracted us to provide 3d modeling and rendering support for 3 projects. 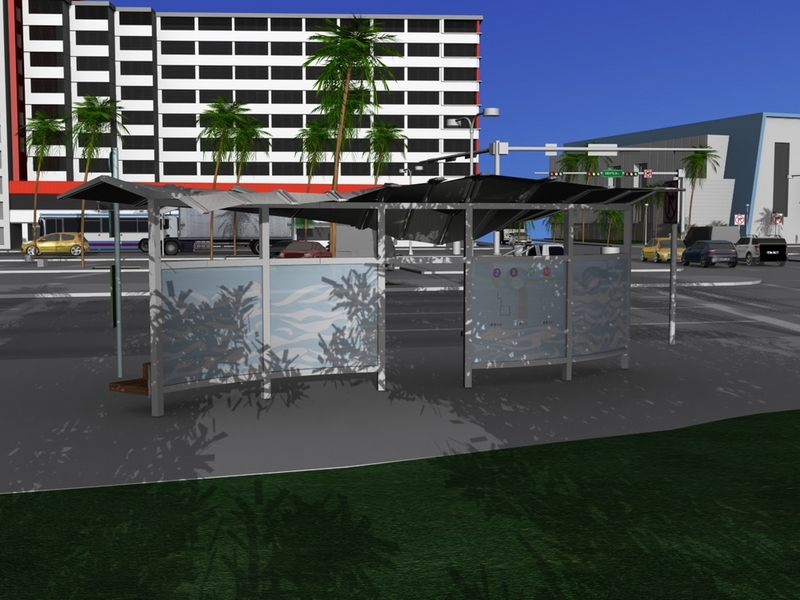 The first project was to build and render a bus stop passenger shelter of his design within a realistic environment. Dreamscape pulled out all the stops and built the entire area around the bus shelter the intersection of NE 4rth street and Biscayne Blvd in downtown Miami. The project was completed within 10 days of starting. The second and third project include residential housing projects designed by Jason Tapia.